I have always had an issue with ribbon storage - but I am hoping this new idea I saw on Pinterest is going to solve all my problems. I have tried the wrapping ribbon around cardboard, with elastic to hold it and putting it in a bin. My bin got too full and so I moved on another idea of old fashioned clothes pins - thinking they are thinner than the card board - but the ribbon kept unraveling. 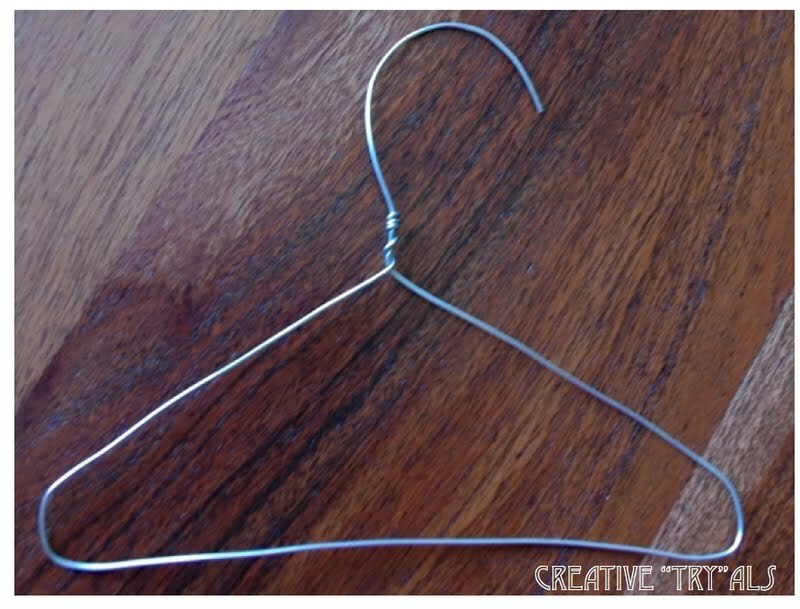 When I saw this clever idea on Pinterest with a regular clothes pin - I thought it was brilliant. The original post was from the Everything I Dreamed blog. 1. 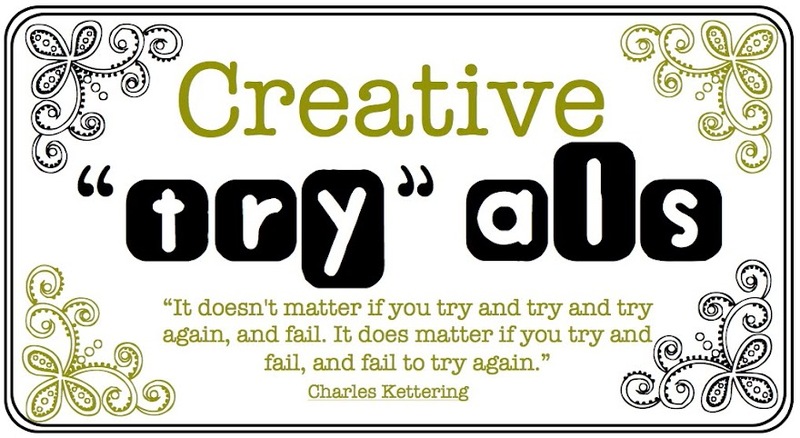 Start with a clothespin ( I bought a bag of 50 from the dollar store). 2. Open the clothespin and close it on the end of the ribbon. 3. Wrap loose enough around the pin that you can open and close the pin, checking once in a while if you can open it as you wind the ribbon around. Clasp the end of the ribbon in the pin. 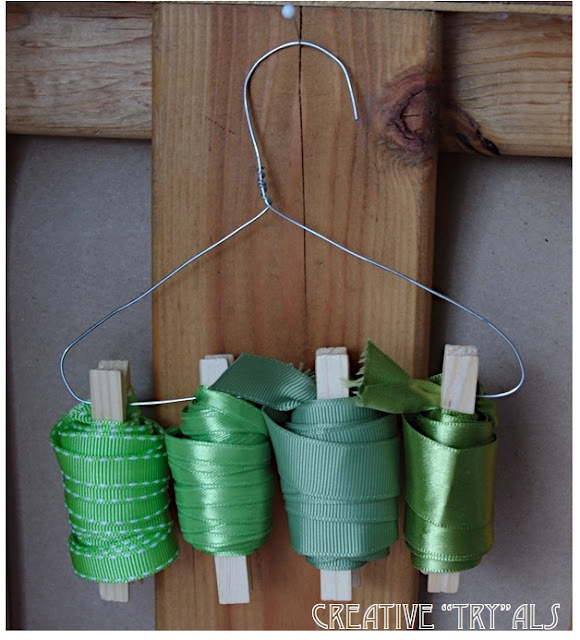 Then I made these mini hangers to pin the ribbon on so I can hang them in my craft closet. I can fit four clothespins comfortably on a hanger, although some I have six, depending on how much is on each pin. 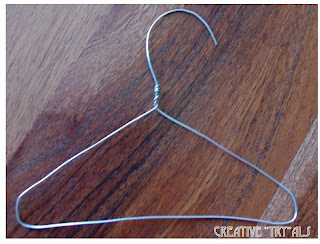 Click here to go to the How to Make a Mini Hanger Tutorial. When I need ribbon, I will bring the colors I need out of the closet and hang it on my workspace. When I get it all in place I will post how I set it up in my closet.